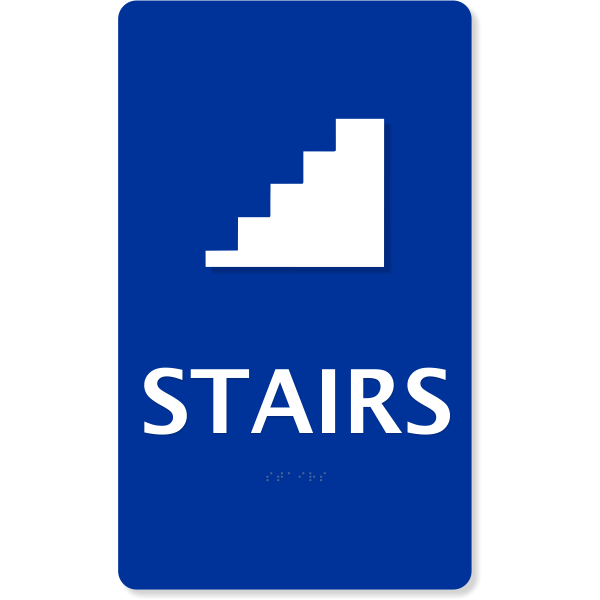 This ADA Braille Stairs sign will keep you compliant while marking your stairwells for safety. Several color combinations available, made in the USA. ADA Sign Vertical 2" x 1"
Clearly mark all your stairwells with an ADA compliant braille stairs sign. Select your foreground and background colors from the drop downs below.